Co-Organizer of The Data Group. Director of Data Management and Analysis Track, part of a Big Data Program. 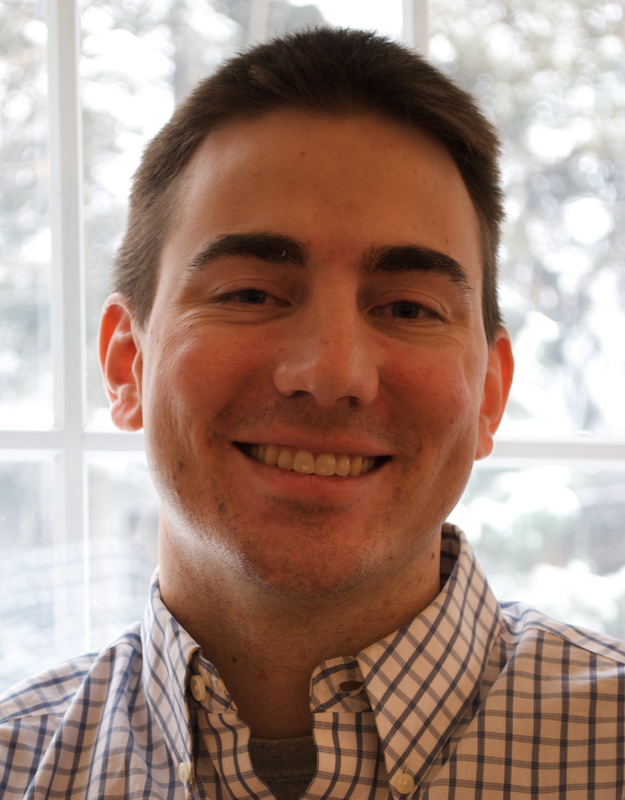 Member of Center for Extreme Data Management, Analysis, and Visualization. Curator of Data Science @ Utah. Algorithms for Big Data Analytics: Geometric Data Analysis, Computational Geometry, Coresets and Sketches, Handling Uncertainty, Data Mining, Databases, Machine Learning, Spatial Statistics. 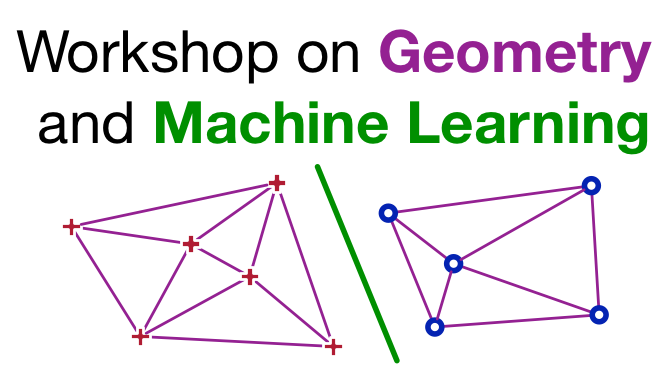 I will be co-organizing (with Jinhui Xu) a CG-Week (which includes SOCG) Workshop on Geometry and Machine Learning. It will take place the week of June 18-21, 2019 in Portland, OR, USA. In the Fall 2018 semester (August 15 - December 15) I was on sabbatical, visiting the Simons Institue for Theoretical Computer Science at UC Berkeley, for the program on Foundations of Data Science. The University of Utah officially granted me tenure!, and I have been appointed Associate Professor in the School of Computing. Yan Zheng (joining Visa Research) and Mina Ghashami (joining Rutgers CS as Postdoc with Muthu) successfully defended their PhD Theses! I co-organized (with Jinhui Xu, and previously Jonathan Lechner and Eli Packer or Anne Driemel) a CG-Week Workshop on Geometry and Machine Learning 2018, 2018, and 2016. I co-organized (with Vivek Srikumar) a Utah Data Science Day on January 13, 2017 in the Union Ballroom. I have been granted an NSF CAREER Award: Foundations of Geometric Analysis of Noisy Data. I organize a graduate Certificate in Big Data; see stories from the U, the Salt Lake Tribune, the Daily Utah Chronicle, KPCW: Cool Science Radio, and the Utah Business Magazine. I post and live-stream many videos of my lectures on Youtube. They now appear on the Utah Data Youtube Channel. Older versions are here and here. I used to occasionally post on Geomblog including my experience in search for academic and research lab jobs. I co-organized (with Suresh) an Algorithms in the Field-Computational Geometry (8F-CG) workshop during CG:APT at the Symposium on Computational Geoemtry in June 2012. Slides are now available. SIGSPATIAL 2017 and 2018, ESA 2017 (track B), PODS 2017, ICDT 2017, CG:YRF 2016, SOCG 2016, ICDE 2016, PODS 2015, SODA 2015, ICDE 2014, MASSIVE 2014, FWCG 2014, CIKM 2013, ESA 2013, FWCG 2012, KDD 2012. Associate Editor SIAM Journal of Scientific Computing, Special Issue for Software and Big Data (2014 - 2016). On the VC Dimension of Metric Balls under Frechet and Hausdorff Distances. Anne Driemel, Jeff M. Phillips, Ioannis Psarros. International Symposium on Computational Geometry (SoCG). June 2019. Independent Range Sampling, Revisited Again. Peyman Afshani and Jeff M. Phillips. International Symposium on Computational Geometry (SoCG). June 2019. Attenuating Bias in Word Vectors. Sunipa Dev and Jeff M. Phillips. International Conference on Artificial Intelligence and Statistics (AIStats). April 2019. Michael Matheny and Jeff M. Phillips. International Symposium on Algorithm and Computation (ISAAC). December 2018. Toward Classifying Unknown Application Traffic. Ryan Baker, Ren Quinn, and Jeff M. Phillips, Jacobus (Kobus) Van der Merwe. DYnamic and Novel Advances in Machine Learning and Intelligent Cyber Security (DYNAMICS) Workshop. December 2018. Aria Rezaei, Jie Gao, Jeff M. Phillips, and Csaba D. Toth. ACM International Conference on Advances in Geographic Information Systems (SIGSPATIAL). November 2018. Practical Low-Dimensional Halfspace Range Space Sampling. Michael Matheny and Jeff M. Phillips. European Symposium on Algorithms (ESA). September 2018. Approximating the Distribution of the Median and other Robust Estimators on Uncertain Data. Kevin Buchin, Jeff M. Phillips and Pingfan Tang. International Symposium on Computational Geometry (SOCG). June 2018. Jeff M. Phillips and Wai Ming Tai. International Symposium on Computational Geometry (SOCG). June 2018. Fully Convolutional Structured LSTM Networks for Joint 4D Medical Image Segmentation. Yang Gao, Jeff M. Phillips, Yan Zheng, Renqiang Min, P. Thomas Fletcher, and Guido Gerig. IEEE International Symposium on Biomedical Imaging (ISBI). April 2018. Improved Coresets for Kernel Density Estimates. WaiMing Tai and Jeff M. Phillips. 29th Annual ACM-SIAM Symposium on Discrete Algorithms (SoDA). January 2018. Yan Zheng, Yi Ou, Alexander Lex, and Jeff M. Phillips. IEEE Transactions on Big Data, (accepted 2019). earlier version: Visual Data Science (VDS). October 2017. Tim Sodergren, Jessica Hair, Jeff M. Phillips, and Bei Wang. Visual Data Science (VDS). October 2017. Relative Error Embeddings for the Gaussian Kernel Distance (to appear). Di Chen and Jeff M. Phillips. 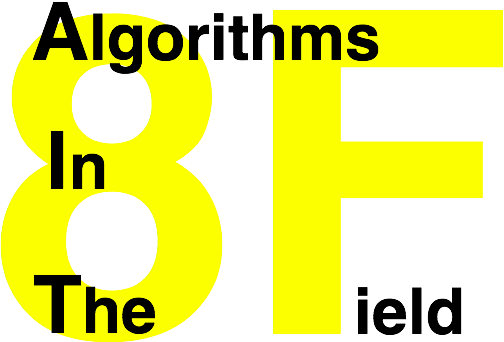 Algorithmic Learning Theory (ALT). October 2017. Dong Xie, Feifei Li, and Jeff M. Phillips. International Conference on Very Large Databases (VLDB). August 2017. The Robustness of Estimator Composition. Pingfan Tang and Jeff M. Phillips. Conference on Neural Information Processing (NeurIPS). December 2016.
epsilon-Kernel Coresets for Stochastic Points. Lingxiao Huang, Jian Li, Jeff M. Phillips, and Haitao Wang. European Symposium on Algorithms (ESA). August 2016. Jeff M. Phillips. Handbook of Discrete and Computational Geometry. 3rd edition, CRC Press, Chapter 48. 2016. An Integrated Classification Scheme for Mapping Estimates and Errors of Estimation from the American Community Survey. Ran Wei, Daoqin Tong, and Jeff M. Phillips. Computers, Environment and Urban Systems (CEUS). April 2016.
early version appeared as Kernel Distance for Geometric Inference. Jeff M. Phillips and Bei Wang. 22nd Fall Workshop on Computational Geometry. October 2012. Nearest Neighbor Searching Under Uncertainty II. Pankaj K. Agarwal, Boris Aronov, Sariel Har-Peled, Jeff M. Phillips, Ke Yi, and Wuzhou Zhang. 32nd ACM Symposium on Principles of Database Systems (PoDS). June 2013. ACM Transactions on Algorithms 13:1, 2016. Range Counting Coresets for Uncertain Data. Amirali Abdullah, Samira Daruki, and Jeff M. Phillips. 29th Annual ACM Symposium on Computational Geometry (SoCG). June 2013. Yang Zhao, Neal Patwari, Jeff M. Phillips, and Suresh Venkatasubramanian. 12th ACM-IEEE Conference on Information Processing in Sensor Networks (IPSN). April 2013. Jeff M. Phillips. 24th Annual ACM-SIAM Symposium on Discrete Algorithms (SoDA). January 2013. Arvind Agarwal, Hal Daume III, Jeff M. Phillips, and Suresh Venkatasubramanian. 2nd IEEE ICDM International Workshop on Data Mining in Networks (DaMNet). December 2012. Hal Daume III, Jeff M. Phillips, Avishek Saha, and Suresh Venkatasubramanian. 23rd International Conference on Algorithmic Learning Theory (ALT). October 2012. Jeffrey Jestes, Jeff M. Phillips, Feifei Li, and Mingwang Tang. 38th International Conference on Very Large Databases (VLDB). August 2012. Pankaj K. Agarwal, Graham Cormode, Zengfeng Huang, Jeff M. Phillips, Zhewei Wei, and Ke Yi. 31st ACM Symposium on Principals of Database Systems (PODS). May 2012. ACM Transactions on Database Systems (TODS) 38:26, 2013.
appeared as "Mergeable Coresets" in Third Workshop on Massive Data Algorithmics. June 2011. Hal Daume III, Jeff M. Phillips, Avishek Saha, and Suresh Venkatasubramanian. 15th Interntational Conference on Artificial Intelligence and Statistics (AISTATS). April 2012.
full version as arXiv:1202.6078. February 2012. Efficient Threshold Monitoring for Distributed Probabilistic Data. Mingwang Tang, Feifei Li, Jeff M. Phillips, Jeffrey Jestes. 28th IEEE International Conference on Data Engineering (ICDE). April 2012. Uncertainty Visualization in HARDI based on Ensembles of ODFs. Fangxiang Jiao, Jeff M. Phillips, Yaniv Gur, and Chris R. Johnson. 5th IEEE Pacific Visualization Symposium (PacificVis). February 2012. Lower Bounds for Number-in-Hand Multiparty Communication Complexity, Made Easy. Jeff M. Phillips, Elad Verbin, Qin Zhang. 23rd Annual ACM-SIAM Symposium on Discrete Algorithms (SoDA). January 2012. SIAM Journal of Computing (SICOMP) (to appear, 2015). Jeff M. Phillips, Parasaran Raman, Suresh Venkatasubramanian. 2nd MultiClust Workshop: Discovering, Summarizing and Using Multiple Clusterings (MultiClust). September 2011. Geometric Computation on Indecisive Points. Allan G. Jorgensen, Maarten Loffler, Jeff M. Phillips. 12th Algorithms and Data Structure Symposium (WADS). August 2011. P. Thomas Fletcher, John Moeller, Jeff M. Phillips, Suresh Venkatasubramanian. 12th Algorithms and Data Structure Symposium (WADS). August 2011.
older long version as arXiv:0912.1580. December 2009. Sarang Joshi, Raj Varma Kommaraju, Jeff M. Phillips, Suresh Venkatasubramanian. 27th Annual Symposium on Computational Geometry (SoCG). June 2011.
long version as arXiv:1001.0591. March 2011. Jeff M. Phillips, Parasaran Raman, and Suresh Venkatasubramanian. 10th SIAM Intenational Conference on Data Mining (SDM). April 2011. Peyman Afshani, Pankaj K. Agarwal, Lars Arge, Kasper Green Larsen, and Jeff M. Phillips. 14th International Conference on Database Theory (ICDT). March 2011. Theory of Computing Systems 52, 342--366 (Special Issue : ICDT 2011). Metrics for Uncertainty Analysis and Visualization of Diffusion Tensor Images. Fangxiang Jiao, Jeff M. Phillips, Jeroen Stinstra, Jens Krueger, Raj Varma Kummaraju, Edward Hsu, Julie Korenberg, Chris R. Johnson. 5th International Workshop on Medical Imaging and Augmented Reality (MIAR). September 2010. Pankaj K. Agarwal, Jeff M. Phillips, Hai Yu. 18th Annual European Symposium on Algorithms (ESA). September 2010.
long version as arXiv:1003.5874. March 2010. Arvind Agarwal, Jeff M. Phillips, Suresh Venkatasubramanian. 16th Annual ACM SIGKDD International Conference on Knowledge Discovery and Data Mining (KDD). August 2010.
long version as arXiv:1003.0529. March 2010.
media: Data Mining Made Faster. Arvind Agarwal, Jeff M. Phillips, Hal Daume III, Suresh Venkatasubramanian. The Learning Workshop at Snowbird. April 2010. Lipschitz Unimodal and Isotonic Regression on Paths and Trees. Pankaj K. Agarwal, Jeff M. Phillips, Bardia Sadri. 9th Latin American Theoretical Informatics Symposium (LATIN). April 2010.
long version as arXiv:0912.5182. December 2009. Shape Fitting on Point Sets with Probability Distributions. Maarten Loffler, Jeff M. Phillips. 17th Annual European Symposium on Algorithms (ESA). September 2009. An Efficient Algorithm for Euclidean 2-Center with Outliers. Pankaj K. Agarwal, Jeff M. Phillips. 16th Annual European Symposium on Algorithms (ESA). September 2008.
long version as arXiv:0806.4326. September 2008. Jeff M. Phillips. 35th International Colloquium on Automata, Languages, and Programming (ICALP). July 2008.
long version as arXiv:0801.2793. May 2008. Bei Wang, Jeff M. Phillips, Robert Schrieber, Dennis Wilkinson, Nina Mishra, Robert Tarjan. 8th SIAM Intenational Conference on Data Mining (SDM). April 2008. Value-Based Notification Conditions in Large-Scale Publish/Subscribe Systems. Badrish Chandramouli, Jeff M. Phillips, Jun Yang. 33rd Intenational Conference on Very Large Data Bases (VLDB). September 2007. Outlier Robust ICP for Minimizing Fractional RMSD. Jeff M. Phillips, Ran Liu, Carlo Tomasi. 6th International Conference on 3-D Digital Imaging and Modeling (3DIM). August 2007.
long version as Duke University Technical Report CS-2006-05 and arXiv: cs.GR/0606098. May 2006.
poster/abstract for 4th Eurographics Symposium on Geometry Processing (SGP). June 2006. Segmenting Motifs in Protein-Protein Interface Surfaces. Jeff M. Phillips, Johannes Rudolph, Pankaj K. Agarwal. Proceedings of the 6th Workshop on Algorithms in Bioinformatics (WABI). September 2006. Deepak Agarwal, Andrew McGregor, Jeff M. Phillips, Suresh Venkatasubramanian, Zhengyuan Zhu. 12th Annual ACM SIGKDD International Conference on Knowledge Discovery and Data Mining (KDD). August 2006. Pankaj K. Agarwal, Jeff M. Phillips. 18th Canadian Conference on Computational Geometry (CCCG). August 2006. Deepak Agarwal, Jeff M. Phillips, Suresh Venkatasubramanian. 17th Annual ACM-SIAM Symposium on Discrete Algorithms (SoDA). January 2006.
abstract for Fall Workshop on Computational Geometry. November 2005. Guided Expansive Spaces Trees: A Search Strategy for Motion- and Cost-Constrained State Spaces. Jeff M. Phillips, Nazareth Bedrossian, and Lydia E. Kavraki. IEEE International Conference on Robotics and Automation (ICRA). April 2004. Spacecraft Rendezvous and Docking with Real-Time, Randomized Optimization. Jeff M. Phillips, Lydia E. Kavraki, and Nazareth Bedrossian. AIAA Guidance, Navigation, and Control. August 2003. Probabilistic Optimization Applied to Spacecraft Rendezvous and Docking. Jeff M. Phillips, Lydia E. Kavraki, and Nazareth Bedrossian. AAS/AIAA Space Flight Mechanics Meeting. February 2003. Jeff M. Phillips, Andrew M. Ladd, Lydia E. Kavraki. IEEE International Conference on Robotics and Automation (ICRA). May 2002. Johnson-Lindenstrauss Dimensionality Reduction on the Simplex. Rasmus J. Kyng, Jeff M. Phillips, and Suresh Venkatasubramanian. 20th Fall Workshop on Computational Geometry. October 2010. Jeff M. Phillips, Suresh Venkatasubramanian. arXiv:1103.1625. March 2011. Jeff M. Phillips. arXiv:1209.6396. February 2013. Rethinking Abstractions for Big Data: Why, Where, How, and What. Mary Hall, Robert M. Kirby, Feifei Li, Miriah Meyer, Valerio Pascucci, Jeff M. Phillips, Rob Ricci, Jacobus Van der Merwe, Suresh Venkatasubramanian. University of Utah, School of Computing, Tech Report: UUCS-13-002. April 2013. Jeff M. Phillips and Pingfan Tang. arXiv:1804.11284. April 2018. Absolute Orientation for Word Embedding Alignment. Sunipa Dev, Saffia Hassan, and Jeff M. Phillips. arXiv:1806.01330. June 2018. Relative Error RKHS Embeddings for Gaussian Kernels. Jeff M. Phillips and Wai Ming Tai. arXiv:1811.04136. November 2018. Small and Stable Descriptors of Distributions for Geometric Statistical Problems. Jeff M. Phillips. 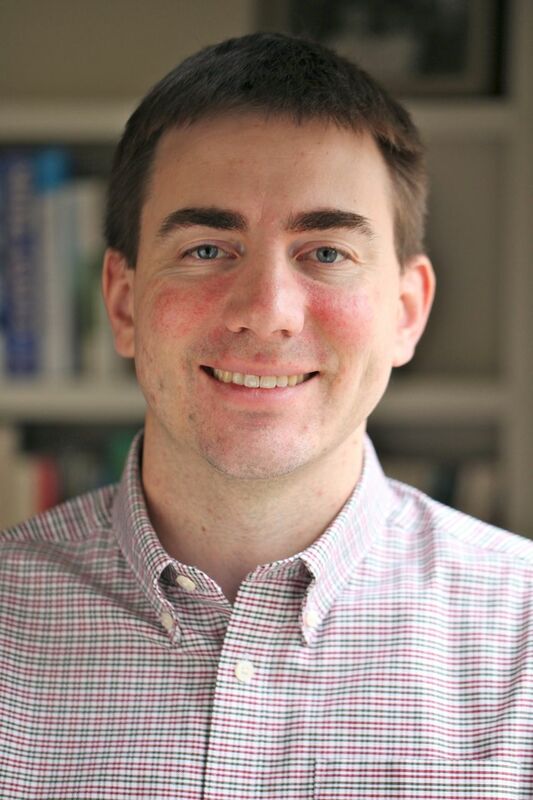 Ph.D. Thesis: Department of Computer Science, Duke University. January 2009. Born and raised in the suburbs of Milwaukee, Wisconsin by parents John and Geri Phillips. One sister, Michelle, now in Washington DC. Married Bei Wang in summer 2009. Two sons Stanley, born in 2013, and Max, born 2015. Received undergraduate education at Rice University. Graduated with a BS in Computer Science and a BA in Mathematics in 2003. Former member of Jones Residential College. Former member of the Kavraki Lab with Lydia Kavraki. Interned at Draper Labs near NASA JSC with Nazareth Bedrossian in 2002. Interned at AT&T Research -- Shannon Labs with Suresh Venkatasubramanian in 2005. Interned at Yahoo! Research with Michael Mahoney in 2007. Attended graduate school in the Duke Computer Science Department with advisor Pankaj K. Agarwal. Successfully defended my PhD thesis January 19, 2009. Served as Postdoctoral Associate in the Duke Computer Science Department with supervisor Pankaj K. Agarwal. Served as a CI Postdoctoral Fellow at the University of Utah with mentor Suresh Venkatasubramanian. Appointed as Assistant Professor in the School of Computing at the University of Utah in Fall 2011. In Summer 2017, received tenure, and now serve as Associate Professor in the School of Computing at the University of Utah. Some of this material is based upon work supported by the NSF under Grants #0937060 and #1019343 to the Computing Research Association for the CIFellows Project, CCF-1115677, IIS-1251019, CCF 1350888, ACI-1443046, CNS-1514520, and CNS-1564287. Any opinions, findings, and conclusions or recommendations expressed in this material are those of the author(s) and do not necessarily reflect the views of the National Science Foundation or the Computing Research Association. The funding makes much of this work possible -- thank you!